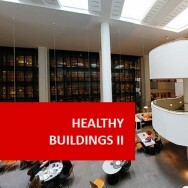 Healthy Buildings I - Building Construction & Health. 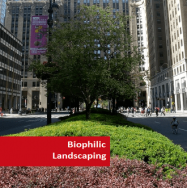 Learn to design optimally effective buildings for life! 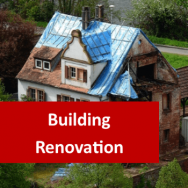 Develops skills to determine the impact of building construction characteristics upon human health, and to recommend innovations in building design to improve habitability. 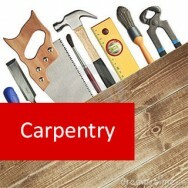 It covers building materials, construction techniques, electrical wiring, temperature and light control, ventilation, plumbing, ergonomics, and psychological factors. 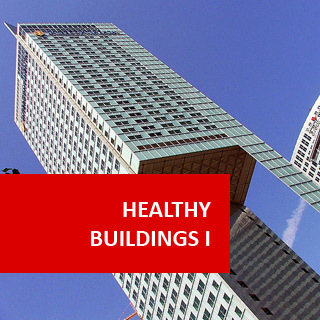 Evaluate the impact of different building materials on health, in a building inspected by you. Develop a checklist of building design factors, to assess the affect of design on human health. Study two specific buildings and compare the impact of building techniques, including construction and design, upon human health. Explain the impact of electric fields on human health in a building you inspect. Explain how electrical fields can be minimised by the way in which electric wires are laid in a specific house plan. Different types of rain water tanks. Explain health impacts of air conditioning in a building you select and study. Evaluate the impact of the design of a building you select and study on the interior environment. Explain the affect that four different colours may have on human health. Explain the affect of space perceptions may have on human health, in a visited interior workplace. Evaluate the psychological impact of the interior environment in two distinctly different offices, upon the people who work in each of those offices. People are more comfortable and less physically stressed in an environment where the temperature is neither too hot nor too cold. Temperature regulation is in fact one of the main reasons why we create and inhabit buildings. The other is to heat up or cool down the inside as required. Sealing the inside of a building however can have serious negative side effects: oxygen levels drop and the quality of air we breathe is not as good. If a building is to remain a healthy environment, and temperature regulated at the same time; you should try to avoid sealing the building. Always try to maintain ventilation. This is covered in more detail in the following lesson. Air fans to distribute hot air are sometimes used. Heat requirement is reduced by installing sound insulating principles during the design process. Exhaust fan placement is important when walls are less than 15ft apart, fans in adjacent walls should alternate should not be opposite. The sun will warm the building during the day. This effect varies according to the time of year, time of day and the weather conditions that day. The way the building is built and the materials used in construction will also influence the building's ability to catch heat from the sun, and hold that heat. Heaters can be used to add to the heat in a building. The heater must have the ability to replace heat at the same rate at which it is being lost to the outside. Vents and Doors can be opened to let cool air into the building, or closed to stop warm air from escaping. Insulation can be installed to give greater control over temperature loss and retention. Coolers (blowers etc) can be used to lower temperature. Exhaust fans can be used to lower temperature. The use of passive solar design is maximised by efficient engineering and architectural design practices. By the use of orientation, ventilation, thermal mass, insulation and glazing/shading we can design for heating, cooling, storing and control of temperature. Not only does this make our houses more comfortable, but it can dramatically reduce our power requirements. In fact it is recommended that before installing any alternative energy systems it is best to first consider what use can be made of passive solar energy and design principles to minimise our energy needs. When considering passive solar design for a house or any particular building, it must be taken in context with the immediate surrounds and the general climate of the location. For example, features installed for a house in Canada would differ greatly that for one in Asia. Orient the building with the longest side running east to west. In cold climates there should be as much window as possible on the north facing wall (in the southern hemisphere) /south facing wall (northern hemisphere) so as to catch the sunlight. There should be minimum windows on the other three sides. Obviously in hot climates this would be inappropriate. Insulation in the walls and roof will prevent heat loss in winter and heat gain in summer. To gain the best affect cover windows with either close woven curtains or close fitting blinds enclosed at the top by pelmets. Use deciduous trees to shade north facing (southern hemisphere)/ south facing (northern hemisphere) windows in summer. Eves and outside blinds can aid shading of windows in summer when the sun is higher in the sky. Drafts should be minimised by weather stripping. Heat loss through outside doors can be minimised by using air lock/ entry rooms. solar heating combined with thermal mass to prevent overheating and to store heat for release in the evenings. For example, glass that faces north, well sized eaves and slab floors to act as thermal mass can all be incorporated. trombe walls utilise a system of having a glass window on the outside of a solid masonry wall the sun heats the wall during the day from which heat is released during the evening, and warmed air (from the cavity between glass and masonry) is circulated into the building. a raised and vented section of the roof can act as a chimney for heated air to rise and escape. Passive solar heating can be achieved first in the design process of a building by consideration of the latitude, the sun’s elevation and the site. 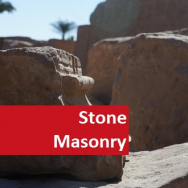 Building orientation: dependent upon hemisphere, building orientation is best aligned in a north/south alignment to maximise the incoming solar energy as required. Rooms that are most frequently used/heated should be aligned on the sun side (south in northern hemisphere, north in southern hemisphere. Awnings/Windows/Skylights: By careful placement of awnings, it is possible to allow winter sunlight to enter the rooms thus providing free heating and to then block the summer room to prevent unwanted heating. This also applies to window and skylight placement. Appropriate placement of deciduous trees which lose their leaves in winter but provide summer shade is also highly recommended and can reduce up to approximately 20% of heating and cooling costs. Glazing can also greatly affect heat loss through windows, as will window shape, placement and control over windows. Thermal Mass: Thermal mass assists in maintaining a constant temperature inside a building by the ability of certain materials to absorb, store and then release heat. 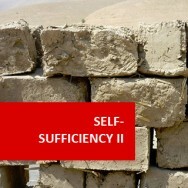 This ability generally increases with material weight. 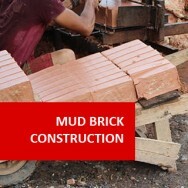 For example: mud brick, rock and bricks have a high thermal mass than timber cladding. Note that poor use of thermal mass can exaggerate the worst temperature fluctuations in the building, it must be used with care and in combination with other features. It can work very effectively in locations with a large variation between day and night temperatures. Basically for thermal mass to work well it needs to be exposed to solar radiation during winter where it will absorb the heat and later release it keeping the building warm, during summer it needs to be shaded from incoming solar energy thus keeping the mass cool, this can be achieved by use of awnings, overhanging roof and shade trees. Water has the highest thermal mass followed by concrete, sandstone, compresses earth blocks and rammed earth. Once consideration to minimising heat loss and maximising use of solar heating opportunities, attention can also be given to the best fuel source for heating. Options include gas, coal, oil, grid electricity, wood and bio-fuels.